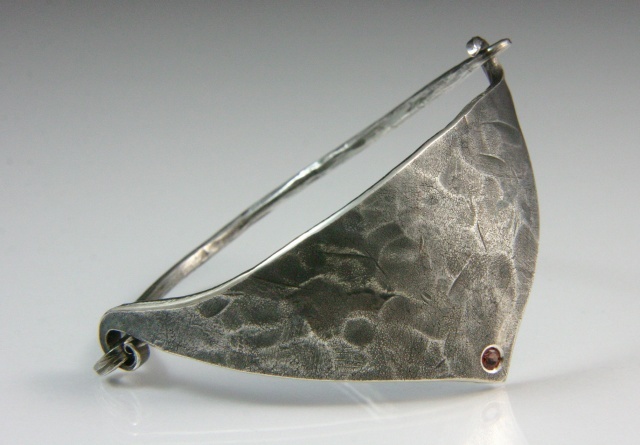 The Triangle bracelet is made of sterling silver with a 3 mm orange Hessonite Garnet set on the tip. It is 2 ¼ inch (5.7cm) across and fits nicely on most wrists. The triangle is 3 ½ inches (8.9cm) long by 1 5/16 inches (3.3cm) wide.